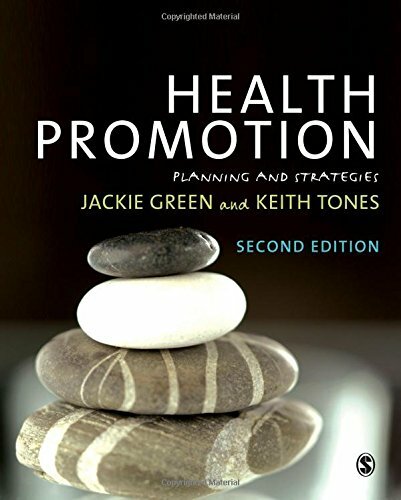 Beginning with a critical appraisal of the concept itself, the second edition of Health Promotion: Planning and Strategies outlines models for defining `health promotion' and sets out the factors involved in planning health promotion programmes that work. Locating the principles and strategies of health promotion within an emerging sphere of multidisciplinary health, the authors show how these can be applied within a range of contexts and settings. In an attempt to bridge the gap that persists between ideological perspectives and practical implementations, they delve beyond the rhetoric of empowerment and show how it can be incorporated into practice. Focusing particularly on the synergistic relationship between policy and education, the book re-appraises the notion of health education - an idea which has become marginalised in recent years- and shows the fundamental importance of education in creating individual choice and generating effective advocacy for social change. The question of `evidence' is central to the text and the book examines methods of evaluation and the role it plays in creating more effective health promotion programmes. The new edition offers coverage of values and ethics; working with communities; the settings approach, and social marketing. It also provides students with a glossary of key terms. Internationally relevant and multidisciplinary, this is an essential text for students of health studies, health promotion, public health, interprofessional social care courses, and all healthcare professionals. This book provides comprehensive and logical coverage of all the core issues in health promotion theory and practice.